Got 32 minutes to kill? I have just the thing. 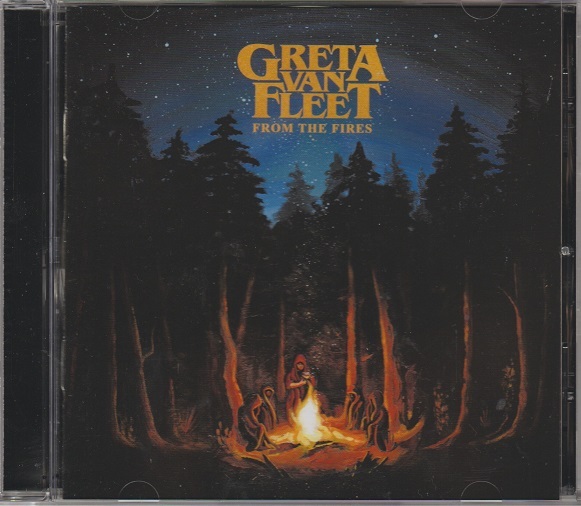 Frankenmuth, Michigan’s Greta Van Fleet won’t be disappearing any time soon, not with the release of their new “double EP” From the Fires. Double EP? For simplicity’s sake, we’ll just call it an album. 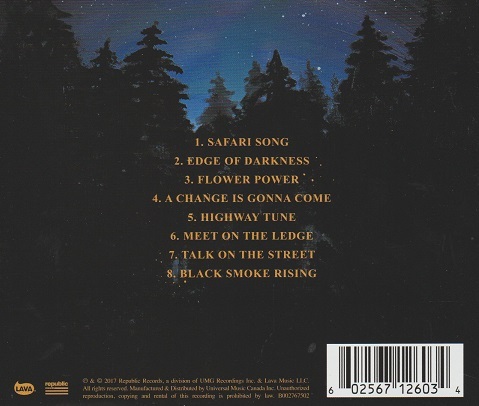 From the Fires has all four songs from their last EP, Black Smoke Rising, along with four new tracks. Whatever you want to call it, if you missed Black Smoking Rising, then you’ll wanna get From the Fires ASAP! Of course you will get their smash hit “Highway Tune”, which is still as exciting as the day we first heard it. Current single “Safari Song” is first on the new CD. Greta’s biggest influence is the mighty Zeppelin, and “Safari Song” certainly has that bluesy Zep stomp. Lots of “oh mamas”. This mid-tempo rocker is quickly becoming a favourite of the airwaves. The new “Edge of Darkness” sounds less like Zeppelin, although singer Joshua Kiszka bleeds Robert Plant. “Edge of Darkness” recalls newer blues rock bands, but the voice immediately sounds like Plant. Then “Flower Power” brings us back to hippy-era acoustic Zeppelin. It’s more than a little derivative, but this band is young and only starting out. Joshua Kiszka really blasts on the slow soulful “A Change is Gonna Come”. What a singer — someone to keep an eye on! Some of Greta’s more dramatic tunes appear closer to the end. “Meet on the Ledge” has a plaintive, epic quality. Then “Talk on the Street” goes upbeat, with a brilliant thrilling rocker. These new tunes indicate that Greta is indeed still growing, and we haven’t heard what they’re capable of yet. Yes, they can do vintage 1969 Led Zeppelin to a “T”, and they have the acoustic bases covered too. The songwriting is growing, and their musicianship is already there. Their playing sounds like a group who have several records under their belts already. “Black Smoke Rising” has become a personal favourite Greta tune. This closer boasts incredible vocals, melody and riffs. It’ll put goosebumps on your arms if you let it. It sounds very little like Led Zeppelin. It actually recalls Triumph more than anyone, and that’s just fine. Now is the time to get some Greta Van Fleet. This release has all their studio recordings; a compact 32 minutes. Double EP? Van Halen had classic albums shorter than this. From the Fires is an album. Get it! Great write-up. I love the fact they picked two covers that were not the usual choices and they did them justice. Meet on the Ledge and A Change is Gonna Come are great. I forgot they were covers! In fact I only knew that from your (excellent) review…. Thanks! I did realize Meet in the ledge was a cover until I read the CD booklet and that explained why it seemed so familiar. I didn’t even read the booklet yet! Played the album 4 or 5 times though! I’m holding any opinions until they’re about 3 or 4 “double EPs” in. At this point they just sound like a really great Zeppelin cover band. That’s pretty much how I feel about them. Relying too heavy on the Led Zep influence and perhaps a wee bit derivative. I’ll look forward to hearing what they produce when they find their own voice. I think a lot of that will come from the singing. Eventually he will have to drop the “mamas” and so on. This is a fair statement that I appreciate. I really do think they are going to grow. We shall see! I listened to this album twice yesterday and had it stuck in my head all morning. The talent is definitely there. Maybe there is reincarnation. If so, Led Zeppelin has been reincarnated in this band. You’re right, the lead singer bleeds Robert Plant. This is a picture of Tyler aka Bonham Jr on drums. Tell me if you see the irony. I see the irony all right. I’m getting old and wrinkly – they look 11 years old to me! You and me both, brother! 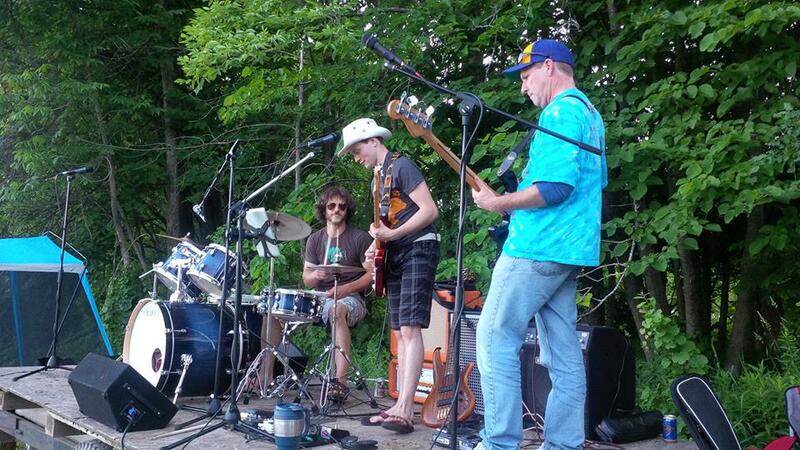 Just great to hear some classic rock done by young dudes! I like that feeling – when a group sounds like they’ve been around longer than they have, or when you wouldn’t guess their age! There’s no way I could have guessed their ages. On first listen I figured in their early 30s. New one me, I’m on it. Thanks for the heads-up!